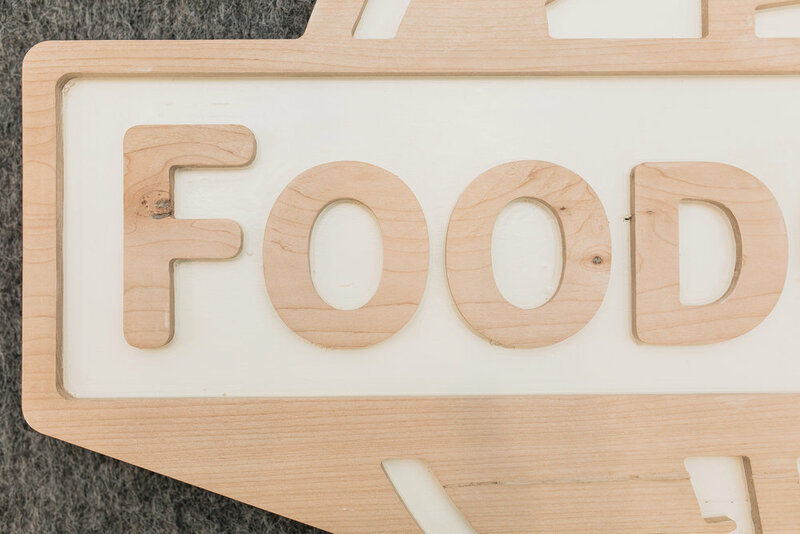 FoodCorps, a non-profit based in Portland, Oregon, approached us to transform a former marble showroom into a office that celebrates the organization's work and mission. The space is organized around the key areas of FoodCorps' work in schools: the garden, the cafeteria, and the classrooms. The open office area, envisioned as a garden, includes a green wall of wild plants, large moss graphics, and custom desk pods constructed of local maple and wool felt. 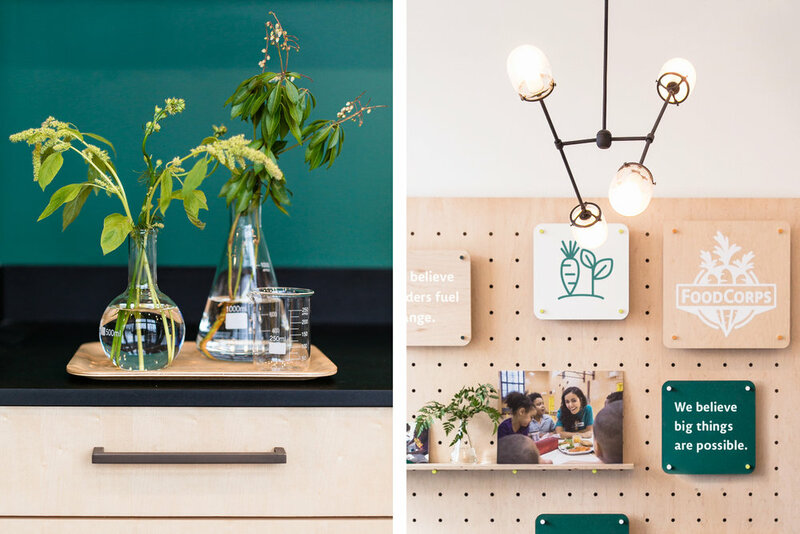 The kitchenette, envisioned as a cafeteria, features a green chalkboard wall, long shared tables with brightly colored chairs, and repurposed school supplies like beaker glasses. The conference rooms, envisioned as classrooms, each take on a different school subject as a theme.